About Dr. Leslie Hao, M.D. Dr. Leslie Hao earned her Bachelor of Science degree in Bioelectrical Engineering at the Massachusetts Institute of Technology in 1991. She attended the Columbia University College of Physicians and Surgeons where she served as the William Randolph Heart Research Fellow of the Deafness Research Foundation. Her work appeared in several publications and she was presented with both the Alfred Steiner Research Prize and the Harold Lamport Award for outstanding medical student research. She received her Medical Doctorate in 1996. 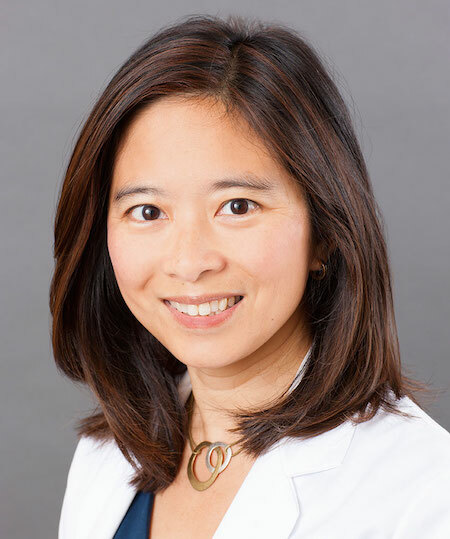 In 2001, she completed her Residency in Otolaryngology and Head and Neck Surgery at the University of Maryland Medical Center, where she was awarded the VA Gold Pin for outstanding patient care. Dr. Hao became Board Certified in Otolaryngology and Head and Neck Surgery in 2002. Since then, she has been practicing in the Bethesda-Chevy Chase area in both medical and surgical aspects of General Otolaryngology of adults and children. She continues to be recognized for her service to patients and has been named a Top Doctor by U.S. News and World Report and Washington Consumer's Checkbook magazine. In her daily practice, she strives to achieve the ideal patient-physician relationship. She feels this can be accomplished by treating patients with the utmost of respect and compassion, while providing accurate information and honest counseling, thereby allowing for a patient-doctor team approach toward medical diagnosis and treatment. She lives in McLean, Virginia with her physician-husband and three children. Her interests include long distance running and fiber arts.